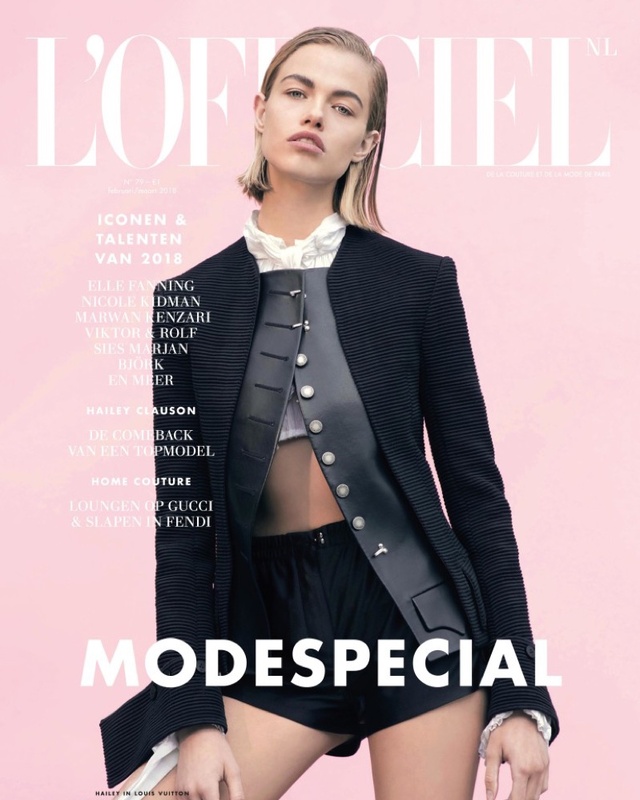 Hailey Clauson dresses in black on the February-March 2018 cover of L’Officiel Netherlands. Photographed by Mason Poole, the American beauty poses in a complete look from Louis Vuitton’s spring collection. 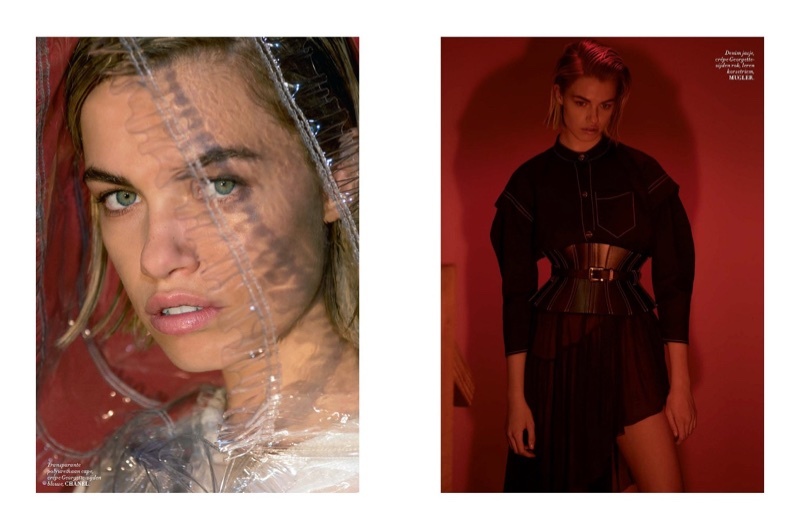 For the accompanying spread, Hailey wears statement looks styled by Henna Koskinen. 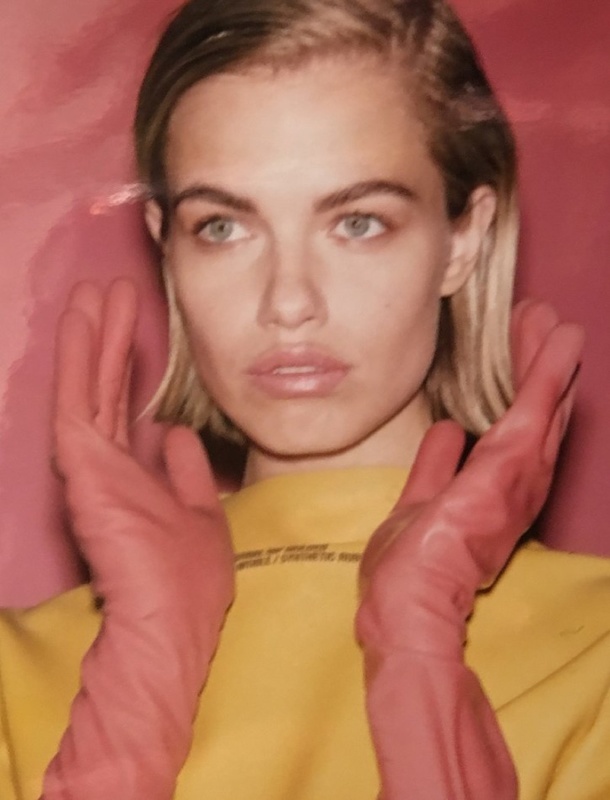 The blonde model poses in designs from the likes of Mugler, Chanel and Calvin Klein.